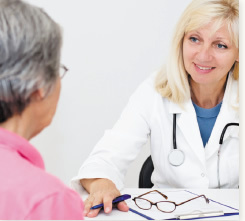 If you're over 75, ask your doctor whether you would benefit from taking a statin. Every so often, medical professional organizations issue new guidelines for treating diseases, based on an accumulation of new evidence. In 2013 the American College of Cardiology and American Heart Association issued a guideline on treating blood cholesterol to reduce atherosclerotic cardiovascular disease (ASCVD) risk, using a new risk calculator (online at health.harvard.edu/heartrisk) to estimate a person's risk of developing ASCVD over the next 10 years. The guideline created a controversy because using the new risk calculator gives everyone over 75 a risk score of at least 7.5%—the threshold for prescribing statins to prevent heart disease in younger people. By that measure, everyone over the age of 75 should be on a statin! Because there are few data to indicate whether statin use would prevent heart attack and stroke in people over 75 who don't have ASCVD, researchers used a complicated statistical model to estimate the potential benefits and costs of treating everyone 75 to 94 with a statin. They calculated that doing so would result in eight million new statin users and prevent 105,000 heart attacks and 68,000 deaths from coronary artery disease over 10 years. Their results were published in the April 21, 2015, issue of Annals of Internal Medicine. It's important to consider the following facts: ASCVD increases progressively with age, the majority of deaths from ASCVD occur in older adults, and the potential benefit of statins is at least as great in older persons as in younger ones. So at this point you can hear the crowds calling out, "Give me a statin!" Here comes the "but." When the authors predicted the amount of harm it would take to offset the beneficial effects of statins they found that any adverse drug effect that robbed people of even one day free of disability would wipe out the benefit. In addition, several key factors fundamentally alter the benefit-risk relationship of statins as people age. The importance of cholesterol as a risk factor for ASCVD decreases with age. Older adults are at increased risk for adverse effects from statins, including muscle pain, fatigue, and decreased level of physical activity. Older people often have multiple health problems that require several medications, and statins may interact with other prescription and nonprescription drugs these people are taking. Moreover, other chronic conditions may be as likely as ASCVD to contribute to functional decline and cause death. If you are over 75 and do not have ASCVD, ask your doctor whether starting a statin makes sense for you. If you are 75 to 85 and in otherwise good health, you might try a statin to see how you tolerate it. If you are over 85—healthy or not—the benefits no longer outweigh the risks and side effects, and I recommend against considering a statin. If you have chronic illnesses and take medications for those problems, be cautious about starting a medication for a possible problem when you have real medical problems to deal with. You're likely to get side effects that negate the statin's benefits.